Today, CARES is the recognized national leader in the recruitment, training and engagement of Black mentors. Our programs address the severe shortfall of Black mentors nationally; and we are sought after by hundreds of organizations that look to us for desperately needed and committed volunteers. Our Affiliate network in 58 U.S. cities recruits caring volunteers and connects them to where they are urgently needed: in schools, local youth-serving organizations, detention centers and reentry programs in severely under-resourced communities that are disrupted by poverty,and violence. Seattle CARES is one of the Affiliates in the national network. In addition, our large group-mentoring programs, piloted in four cities and which we are preparing for national rollout, focus on the emotional, social, academic and professional development of our children and the wellness of the adults who mentor and parent them. Our place-based efforts ensure that disconnected youngsters who are most at risk of dropping out of school, graduate and are prepared to succeed in college or industrial-training programs and 21st-century careers. CARES proves that all children, given love and adequate support, can thrive and become caring contributors to their families and communities. The Seattle CARES Mentoring Movement. 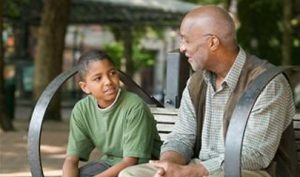 By mentoring a young person, you can help redirect the course of his or her life. JOIN US!